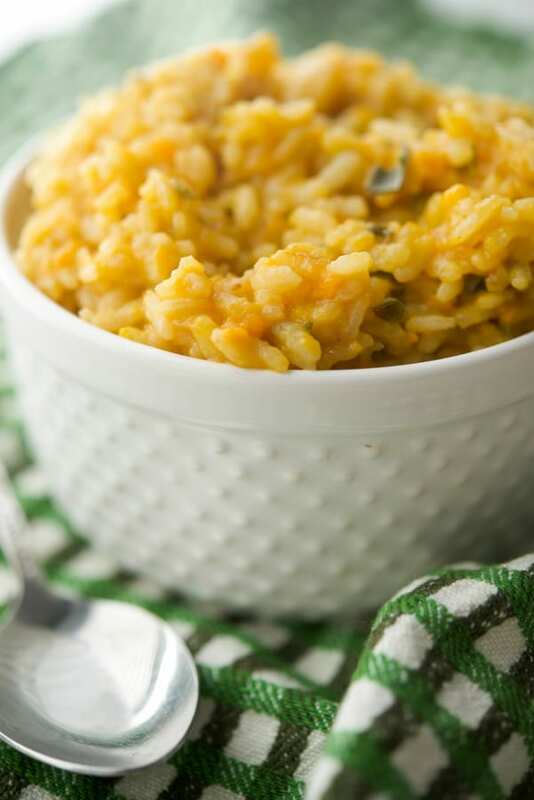 Sweet Potato and Sage Risotto made with Italian Arborio rice, grated sweet potatoes, fresh sage and apple cider makes this the quintessential Fall side dish. 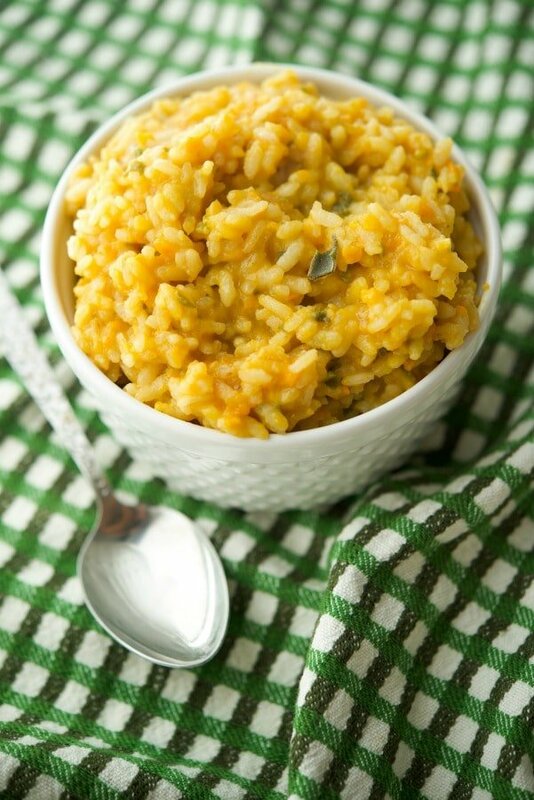 I love a good risotto as much as the next person; which is why I recently made this new Sweet Potato and Sage Risotto when I realized that the last time I made a new risotto recipe was this one back in 2016. I know, it’s been way too long! 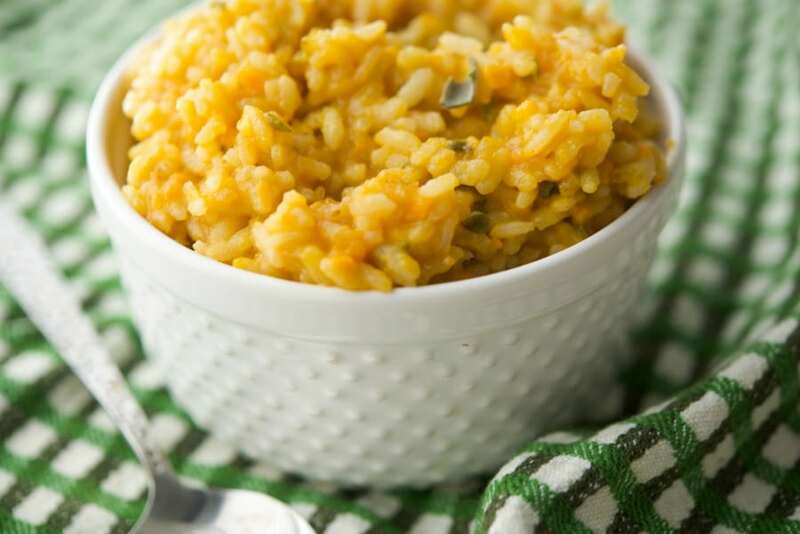 Risotto is a northern Italian rice dish cooked in a broth to a creamy consistency and is one of the most common ways of cooking rice in Italy. 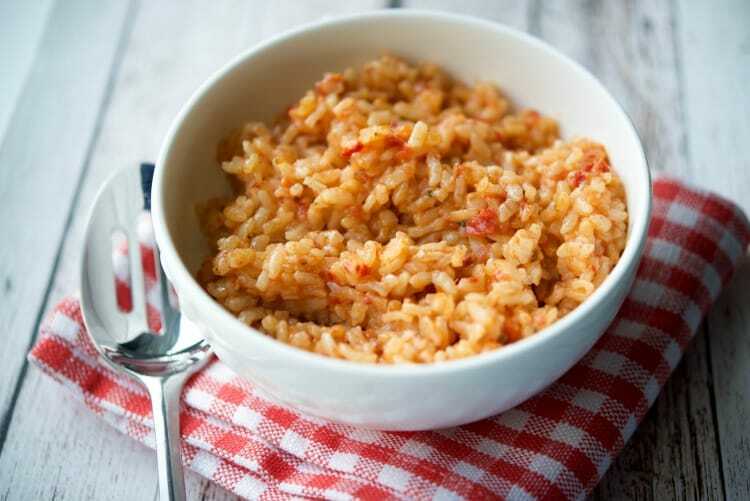 I generally serve risotto as a side dish because it can be quite filling, but I’ve seen them on restaurant menus and have made them myself with added protein like chicken or seafood; where it’s served more as a main entree. 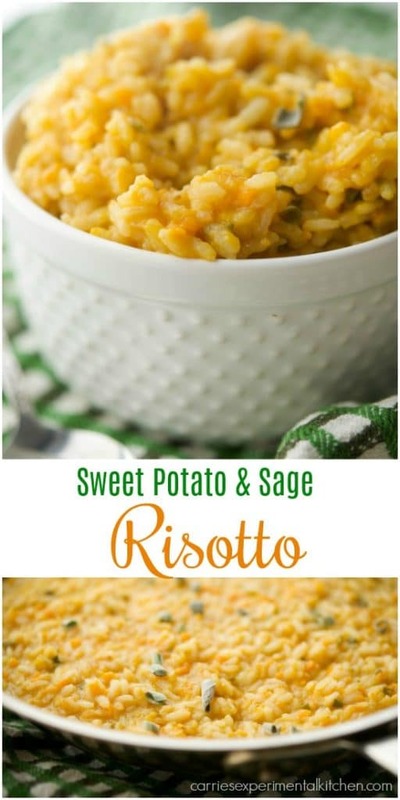 With Autumn officially here, I wanted to make something using some of my favorite fall flavors and decided on sweet potatoes (for the bright orange color), apple cider and fresh chopped sage to make this Sweet Potato and Sage Risotto. 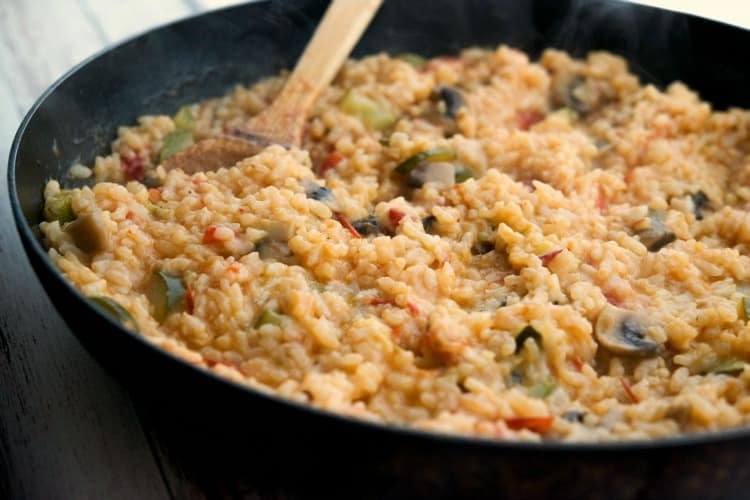 Risotto is easy to make; however, it does take about 30 minutes and you have to be a little patient and not rush the cooking process. If you do, you may wind up with rice that is still too hard to chew and not soft and creamy. First, heat a little extra virgin olive oil in a large saute pan over medium high heat; then add your uncooked Arborio rice. Allow the rice to brown for about 1-2 minutes. Next, you’re going to add grated sweet potato and one cup of vegetable broth, reduce heat to medium low and cook until the liquid is almost absorbed. Add another cup of vegetable broth allowing the liquid to absorb; then do it a third time with another cup of broth until all of the liquid is absorbed. Next, add your apple cider and fresh chopped sage and cook until that liquid has absorbed into the rice. We recently visited our local farm and got some fresh cider, but this time of year, most grocery stores carry it in the refrigerated section. At this point, your rice should be soft. If it’s not (which can happen if your heat is too high) just add a bit more cider or broth until the rice is soft. 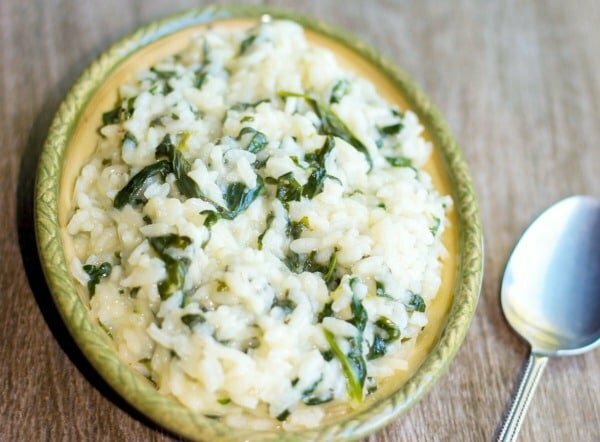 Finally, remove the rice from the heat and stir in grated Pecorino Romano cheese, fresh chopped sage and butter. Mix well until the risotto is creamy. 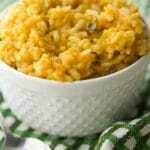 In a large frying pan, heat the oil over medium high heat and add the rice. Allow to slightly brown 1-2 minutes. Next, add the sweet potatoes and gradually add 1 cup at a time of the vegetable broth, allowing the liquid to evaporate after each addition. When the liquid from the last addition of the broth has almost evaporated, add the apple cider. When the last of the liquid has evaporated, remove the pan from the heat and add the sage, cheese and butter. 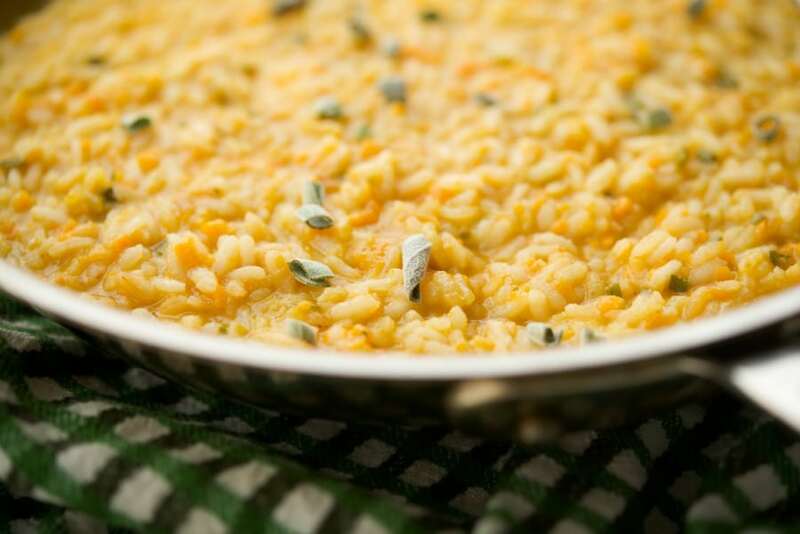 Stir until the butter has melted and the risotto is creamy. Season with salt and pepper.